The sound of the drum strikes a chord within us all that is quite profound. It not only gets us tapping our feet and hands but just like it has done right throughout history, the drum continues to bring people together. 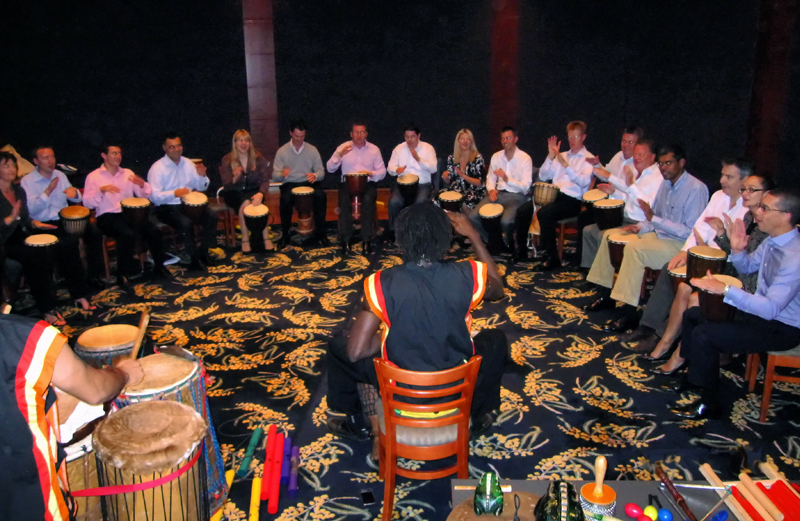 In modern day workplaces drumming is an effective way to bond a team and have fun together. 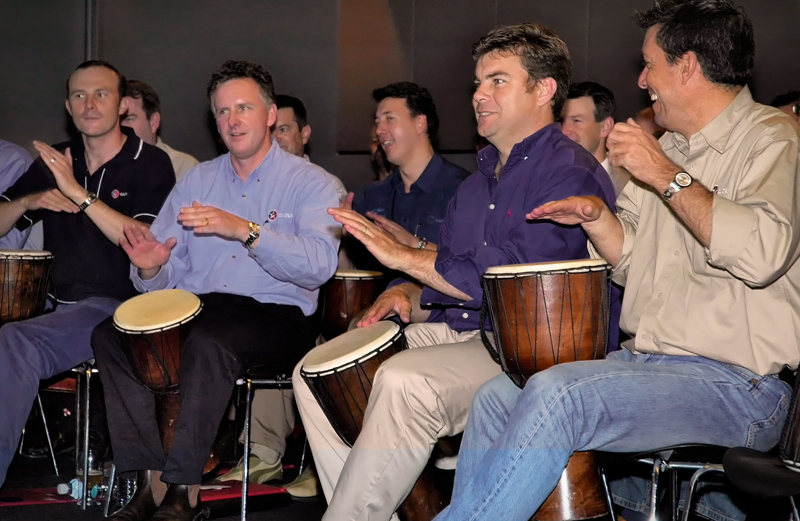 The experience of team drumming is one of fun, joy, expression, and most importantly of all it is shared. Common goals benefits achieved include team building, promoting cooperative success, enhanced focus/reenergizing, stress management & relaxation and multicultural celebration.